Hatching Lice Eggs produce lice nymphs. Head lice lay their eggs on human hair within 2 centimeters of the human scalp. In fact Lice incubation takes 7 days. 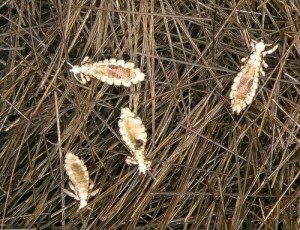 The nits need the heat of the scalp to incubate properly so that they can hatch and become lice. However you are unlikely to ever see a live adult head louse because lice are clear like a jellyfish when they are alive. Therefore you can look right through them. A nit is the egg of a louse and nits look like small sesame seeds. All nits are the same size and shape and difficult to see upon visual inspection. • For thousands of years head lice have thrived on human scalps. • Other primates have their own genetically different versions of lice. • How do you get head lice out of your hair? • Combing with the Nit-Free Terminator Comb is really the only proven treatment that works. • Pesticide shampoos are now ineffective against lice. As head lice have mutated to become resistant. • Lice have developed a widespread “knockdown resistance” mutation in recent years. • This mutation allows the lice to survive pesticidal lice treatments. Hatching Lice Eggs. Parents get very stressed out about head lice, but they need not be worried. Head lice are manageable and they are harmless. Head lice do not carry any disease. If your child has head lice for a year, there actually would be untoward health effects. In fact many kids do have head lice for 6 months to a year, with no symptoms whatsoever. Most people never develop itching symptoms from lice, at least not in the first 2 months of the lice infestation. Hatching Lice Eggs. The biggest problem for parents is a lack of accurate information about head lice and head lice stigma. There are many urban myths about lice that continue to circulate amongst the parent community. These urban myths lead parents to vacuum, bag, and launder everything in the house, none of which is necessary for head lice. 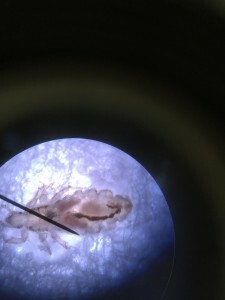 ← Human Lice Species. What type do you have?